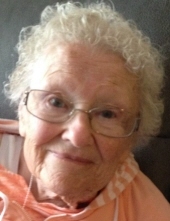 Gowanda, NY - Jane Kota, passed away peacefully on March 17, 2019 in North Port, FL at the age of 88 following an extended illness. After raising her family, she worked many years in local Gowanda pharmacies beginning with Hogle's Drug Store. Following retirement, she became a Senior Companion with WNYDDSO for more than 20 years. She was most happy when she was twirling around a dance floor to Polka music with her husband of 70 years. She is survived by husband, Walter (Bert), one brother, Peter R. Johnson of Gowanda, daughter Susan (Stephen) Rosen of Englewood, FL, and son's William (Margaret) Kota of Mary Esther, FL, and Gary Kota of Buffalo, NY. Also surviving are grandchildren Michael Rosen of Angola, NY; Kenneth Rosen of Cheektowaga, NY; Ryan Kota of Fargo, ND; and Allison Kota of Akron, OH. She also had numerous nieces and nephews. A funeral Mass will be held at St. Joseph's Church, 26 Erie Avenue, Gowanda, NY at 11 a.m. on Monday, March 25, 2019 followed by burial in Holy Cross Cemetery, Gowanda, NY. Flowers gratefully declined. Memorials in Jane's name can be made to Tidewell Hospice-Sarasota, 5955 Rand Blvd., Sarasota, FL 34238. To send flowers or a remembrance gift to the family of Jane Kota, please visit our Tribute Store. "Email Address" would like to share the life celebration of Jane Kota. Click on the "link" to go to share a favorite memory or leave a condolence message for the family.